During the past few years of my yoga journey, I told myself that finding peace and happiness always comes from our inner self. My neglect and my lack of focus and consistency with my practices resulted in anxiety and depression. Even meditation was totally forgotten since I moved to Dubai. When you get distracted from work, interactions with expats every day and focusing on how to make ends meet, it makes you forget about the need for inner peace and soul strengthening. As you may know, there are so many Indians living here in Dubai. In fact, it’s considered second India, so yoga studios are everywhere. I have so many friends from different parts of India, from South to North and yoga is just a natural habit for them. 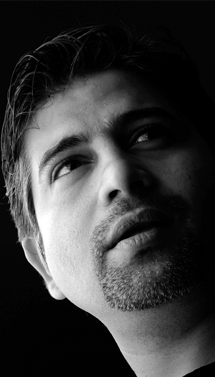 I’m very grateful that I was recommended by someone to try out Bharat Thakur and experience their Artistic Yoga. I live in Barsha Heights and the Damac Smart Heights building is just a stone throw away from our flat. We started with the regular hatha yoga and the typical asanas. This physical yoga was a tad short compared to what I was practicing back in the Philippines (from Bikram Yoga to Vinyasa) After that, we were asked to do the savasana and did the kriya meditation for 30 minutes. Breathing in and out continuously until your lungs would go out of your stomach. It was more challenging than the Sudarshan Kriya because with Art of Living, you feel more connected with each practice and the yoga teacher has this way of connecting with their students. But with my experience here at Bharat Thakur, it was not so pleasant I’d say. Some of the practitioners fell asleep and I almost did too! The teacher looks like he’s doing his usual thing without too much of an effort getting to know the new students. I was asking a lot of questions after the practice but he seemed so abrupt with his answers. and only gave limited information about the benefits of this Artistic yoga. Honestly, I don’t think I’ll continue with it because the method will never work for me. Just to give you a glimpse of who Bharat Thakur is (and really, my mind is already cluttered with all these famous philosophers and leaders that if you believe all the things they’re saying, you’re just going to be stripped naked of your own freedom and be a stupid follower), Bharat Thakur returned from the Himalayas and learned that the ancient 5000-year old science of Yoga had been reduced to just a few asanas practiced in a slow manner. So maybe that explains the very basic asanas we performed. Maybe I’m just not too familiar with it but I decided not to push through with the practice. However, I appreciate the pleasant experience. The need for cleansing and removing blockages and detoxification helps my mind become silent a little. They say the kriya that we did is a way to open the subconscious. 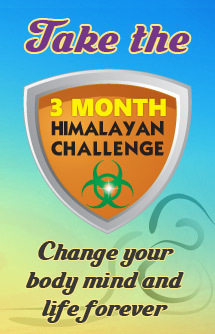 They also have this 3-month Himalayan Challenge which intrigued me but would definitely not think about trying it. It is a customized combination of yoga classes, cardio workouts, customized diets, muscle strengthening exercises, powerful breathing & cleansing techniques, along with meditation,. Kriyas or cleansing techniques remove not only harmful toxins but also, negative emotions or emotional blockages that may be residing in your system for years! These blockages can cause havoc with your health, weight, hormonal balance and fitness levels. Your diet will be closely monitored and you are expected to follow recommendations religiously in order to get the maximum results. You will be required to do between 6-12 yoga sessions in a week, depending on your goals and requirements. There will be homework given to you to finish. Additionally, you are required to attend the weekly consultations that will measure your progress, solve any problems you are facing, and modify the program every week so that you are truly on the fastest path towards a new you. So, if you think it could benefit your well being, you may try and check out their website. We have the option to find the suitable yoga and meditation practice that would work for us. Yoga is a journey as well. Until now, I am still walking towards whatever path that leads me to inner peace and happiness.